Farrah Abraham surprised fans on Sunday by attending her mom's wedding. 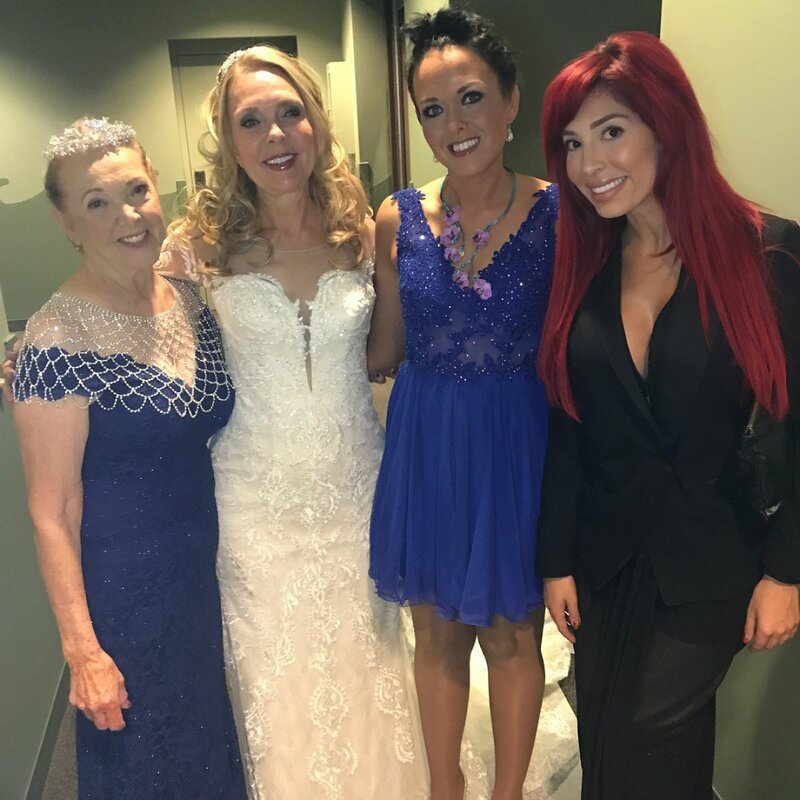 The 26-year-old "Teen Mom OG" star served as an honorary maid of honor at Debra Danielsen's nuptials to David Merz despite longstanding tension with her mom. Danielsen and Merz tied the knot at Henry Doorly Zoo and Aquarium in Omaha, Neb. Abraham was all smiles in a photo she posted Monday on Instagram with Danielsen and other family members. "This is going in the family books! Congrats! To my mom & step dad #tiedtheknot #married #wedding," she captioned the picture. Abraham explained in an interview with In Touch Weekly that attending Danielsen's wedding felt like the right thing to do. She implied Teen Mom producers contributed to her rocky relationship with her mom. "I just think this is how it should have been done. I don't need to be pressured by a production company to do things their way or be told how Farrah is," the star said. "I know that I'm a great daughter. I'm a great person. I'm loving, I'm caring and I'm awesome. I was tired of being portrayed a certain way on Teen Mom and how I was filmed, and that's why I'm not working with the production I was filming Teen Mom with anymore," she added. Abraham and Danielsen have clashed for years, even appearing on the on the VH1 series Couples Therapy in 2014. Abraham slammed Teen Mom producers last week for "fake firing" her from the MTV show. Rosie O'Donnell on her new, 22-years-younger girlfriend: "I am in love"